DO YOU HAVE AN UN-PROGRAMMED HHP 3800? For only $128.00 Barcode Depot will install the SirsiDynix required program for your existing Welch Allyn IT3800 (HHP) barcode reader, this program is installed into the E-prom in the 3800 series CCD scanner. This makes it impossible to "scramble" or destroy the programming by accident. We have Welch Allyn/ HHP/ Honeywell 3800 series barcode readers programmed for the FOLLETT Library Automation system. Same pricing as WorkFlows Programmed Version. Barcode Depot also will program your existing Welch Allyn/HHP/Honeywell barcode readers. Welch Allyn SCANTEAM CCD model 3800LR-12-PS/2 ®. This unit is pre programmed for your immediate use, and is 100% compatible with all versions of Sirsi Workflows Library Automation Software, including the new JAVA GL3.0 client! 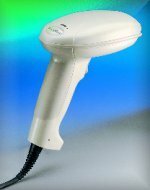 The IMAGETEAM 3800 is a high performance, hand held bar code scanner. Using unique, linear imaging technology, the IT3800 sets a new standard in automatic data collection by combining a bright, sharp aiming line with high resolution imaging to deliver exceptional performance in any environment. The IT3800 handle is smoothly contoured to fit all sized hands, and has a soft grip area to add comfort and prevent slippage. The IT3800 connects to all popular PCs, & MAC. The 3800LR-12-PS/2 is ideally suited to retail point-of-sale, in-store inventory, document management, transaction processing, and Library Circulation/Check in/Check out applications. Attention Workflows users: All 3800LR-12 are programmed to allow CAPS LOCK ON or OFF. No longer do you need to remember to turn off the Caps Lock on your keyboard after entering a patron name or search data! No moving parts and solid construction outside deliver years of reliable service in demanding work environments. Connects and interfaces to all major PCs, commercial and retail DOS terminals easily and quickly with Windows®-based programming tools or bar code programming menus. Click on the above link for a copy of Barcode Depot's program sheet. Barcode Depot is the ONLY vendor that has solved the Caps Lock issue for both the 3800LR-12 (PS/2) interface and the 3800LR-USB USB interface scanner. Not even Sirsi Corp has figured out the USB caps lock puzzle, but Barcode Depot has! This feature is only available on the programmed version. IMAGETEAM™ 3800LR-USB Hand Held Linear Imager Now Available With USB Interface for Workflows/Unicorn! 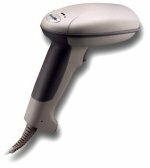 The IMAGETEAM™ 3800LR-USB is a longer range, high performance, hand held bar code scanner designed to match the reading distance of standard range lasers. Using linear imaging technology, the IT3800LR-USB offers a bright, sharp aiming line and high-resolution imaging to deliver exceptional reading performance. This durable model is excellent in hand held scanning applications, such as point of sale where hand scanning is required for large bulky items, shipping and warehousing or anywhere where low to medium density bar codes are being read 2 to 3 feet away. The IT3800LR-USB can be used indoors or outside in bright sunlight. 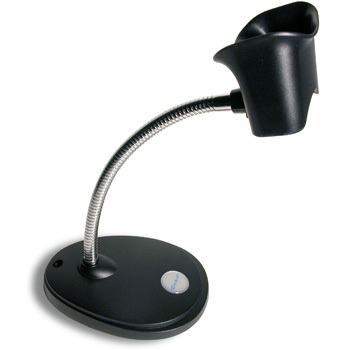 IT3800LR-USB reads up to 16 inches on 100% UPC codes for faster, easier item checkout/discharge scanning. Annual Maintenance Pricing for any 3800LR-12 or 3800LX-14 barcode readers. This is a 12 month service and warranty agreement. This will include updating the scanner software to most current version available from Welch Allyn (presently version 5.2.1.1) and we will install our EXCLUSIVE fix for Caps Lock error in Workflows. Questions? Need help? Want to place an order?